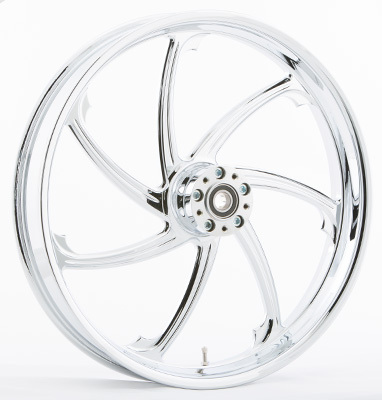 HARDDRIVE FLOW COMPLETE WHEEL KIT FRONT DUAL or SINGLE DISC (CHROME). Available in Chrome, Black & Machined. Sizes: 16inch, 17inch, 18inch, 21inch, 23inch. Available with or without ABS, Single or Dual Disc. Matching Rotors and Pulley available.